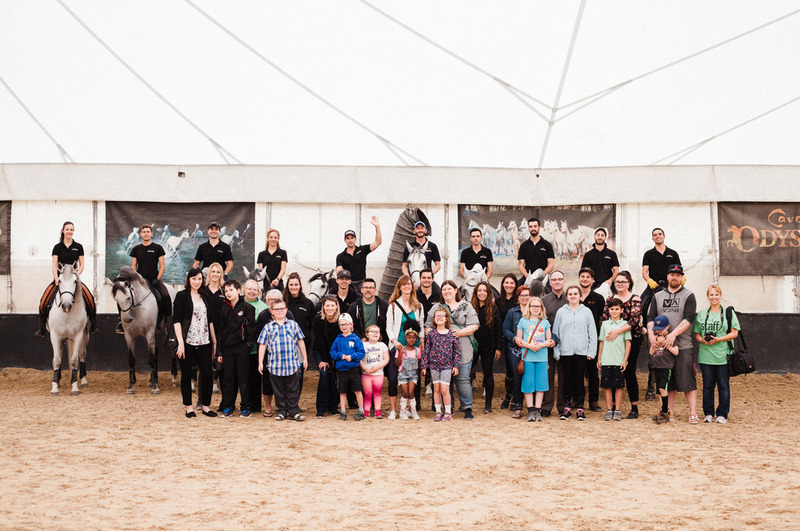 Yesterday in Winnipeg, a group of visually impaired children from the Canadian National Institute for the Blind (CNIB) had a rare opportunity to experience an amazing and moving adventure at Cavalia Odysseo. 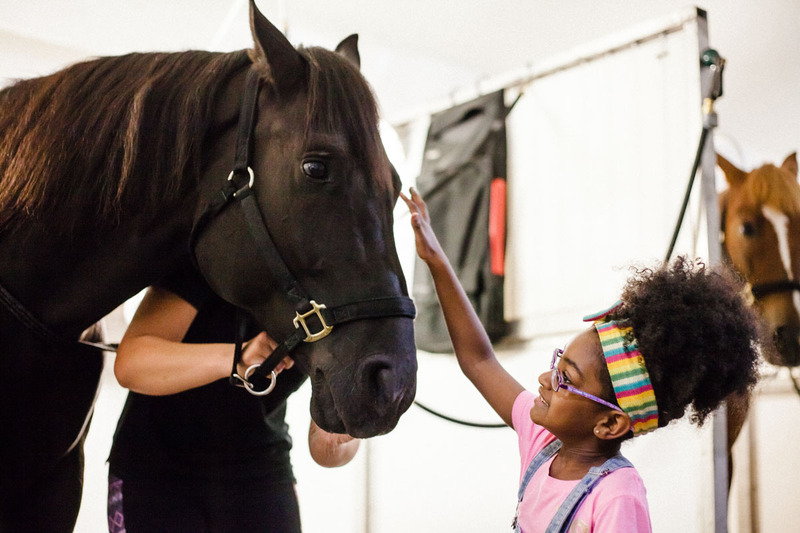 The children, who rely heavily on their other senses to fully understand the world, were guided by Odysseo artists through a sensory journey created specifically to meet their special needs. The group discovered our equestrian and acrobatic world through a variety of hands-on exercises. 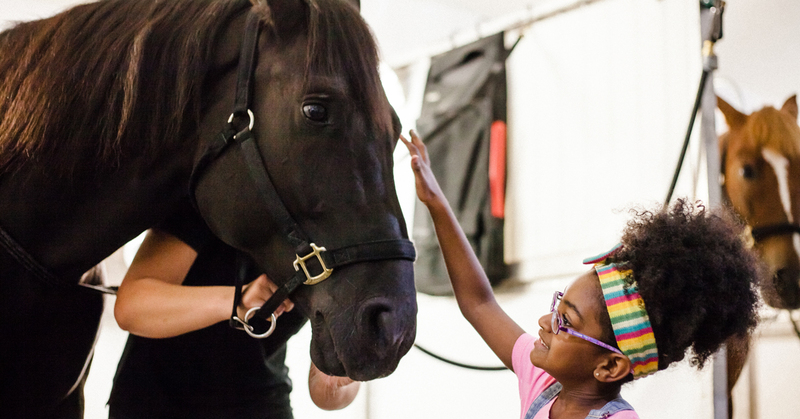 Members of the cast allowed the children to touch the horse’s soft coats and brush and groom them. They smelled and touched the horse’s food, felt and tried the saddles, and listened to the horse’s heartbeat and breathing with stethoscopes. 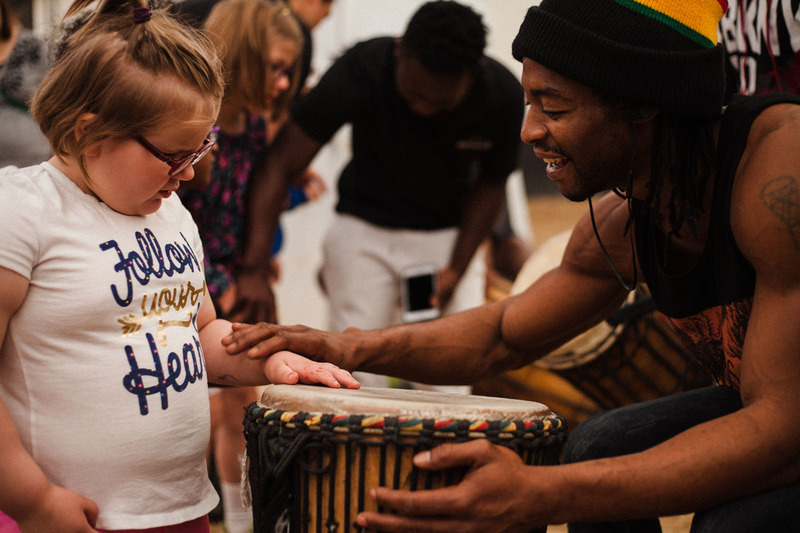 The young guests also played percussion with musicians, discovered the texture of the costumes and danced with acrobats. 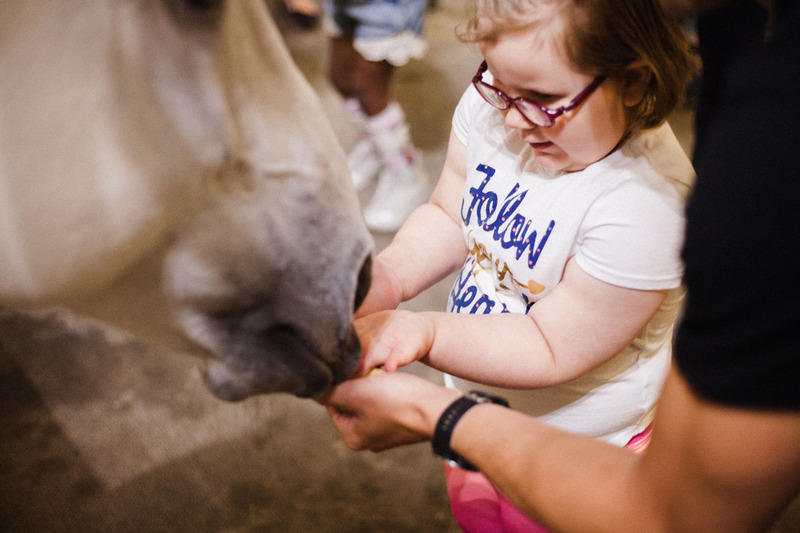 At the end of the tour, riders brought their horses to a full cantering speed, allowing the children to feel the ground quake beneath the incredible power of the equine stars. 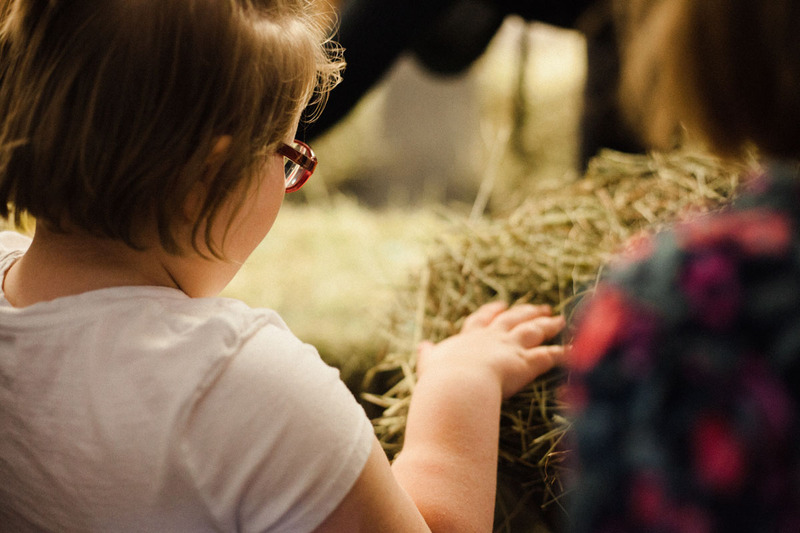 At the end of the tour, tickets to the show were offered to each child so they can experience the beauty and magic of Cavalia Odysseo with their family.